Higher Officials of the Uttarakhand Public Service Commission (UKPSC) had released the UKPSC Recruitment 2018 for the 14 Economic Statistical Officer Posts on their official site @ ukpsc.gov.in. 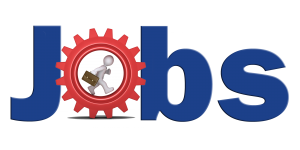 So, all the interested candidates can apply Online for the उत्तराखंड लोक सेवा आयोग Jobs 2018 through the official webportal. Furthermore, the officials had announced that the application process should be done between 30th August 2018 and 19th September 2018. Also, candidates who want to grab the position at the UKPSC Organization, they can check this page for the latest information. From this page, you can note down the Eligibility Criteria, Application Fee and the Critical Dates for the Economic Statistical Officer Vacancies, Pay Scale, and Selection Process. Additionally, you can find the Applying Procedure with the direct links to download the Official UKPSC Recruitment 2018 Notification PDF with the Official Registration, Login links. 1.8 How To Apply For UKPSC Recruitment 2018? Well, all the candidates who show much interest in the Economic Statistical Officer Post should apply for the UKPSC Recruitment 2018 with the help of this page. There are only 14 vacancies, so you need to hurry up and then apply for the released Uttarakhand Public Service Commission (UKPSC) Recruitment 2018. The higher officials said that they wouldn’t accept the Application Forms which was submitted after the last date that is 19th September 2018. They had not yet announced the exact date to examine the candidates. And also the examination will be conducted at various centers. So, for the latest information regarding the exam date, you can check this page. For the convenience of the applicants, we here provided the exact procedure to apply online for the released UKPSC Recruitment 2018. Candidates need to check the Vacancy details for the UKPSC Recruitment 2018 which is stated as below. Educational Qualifications – Appellants must Pass PG Diploma (Statistics) or the PG Degree (Relevant Disciplines) from the recognized Organization or the University or Board. Age Limit – Contestants must have the minimum age as 21 years and the maximum of 42 years. If you want any other information regarding the Age Relaxations, you can quickly refer to the Official Notification. Those who apply for the UKPSC Notification 2018 must check the Official Notification for the more details regarding the Application Fee. All the selected candidates will get INR 15600 – 39100 + GP 5400 from the Uttarakhand Public Service Commission under the UKPSC Recruitment 2018. The उत्तराखंड लोक सेवा आयोग Selection Process 2018 for the UKPSC Vacancies 2018 will be done as follows. How To Apply For UKPSC Recruitment 2018? Contenders need to follow the stepwise procedure to apply for the UKPSC Recruitment 2018 from the official site as below. Move to the official website of the Uttarakhand Public Service Commission (UKPSC) @ ukpsc.gov.in. In that home page, scroll down and click on Exams/Recruitments tab. Then you can see the recruitments list. Read all the news stated in that PDF. Now in that same page, you should click on the “One Time Registration” section which appears on the top right. Fill all the details, download the form and also take out the printed copy for further usage. Well, we hope that all the candidates have applied straightforwardly to the UKPSC Recruitment 2018 with the help of this page. And for more information, you can visit our Sarkari Recruitment website regularly. Thank you.